Have you ever dreamed about a cottage on the lake? If you love cottages, this one should make your day! 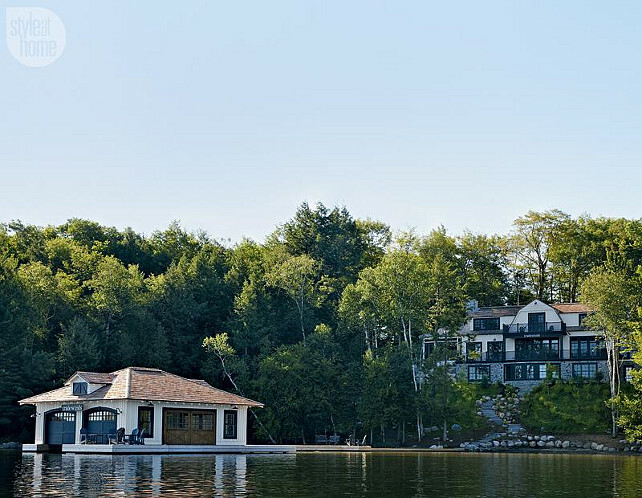 This lake cottage doesn’t shy away from luxury and space, in fact, this vacation home is a brand new and beautiful 7,000-square-foot cottage that sits just above the shores of Muskoka’s Lake Rosseau in Ontario. 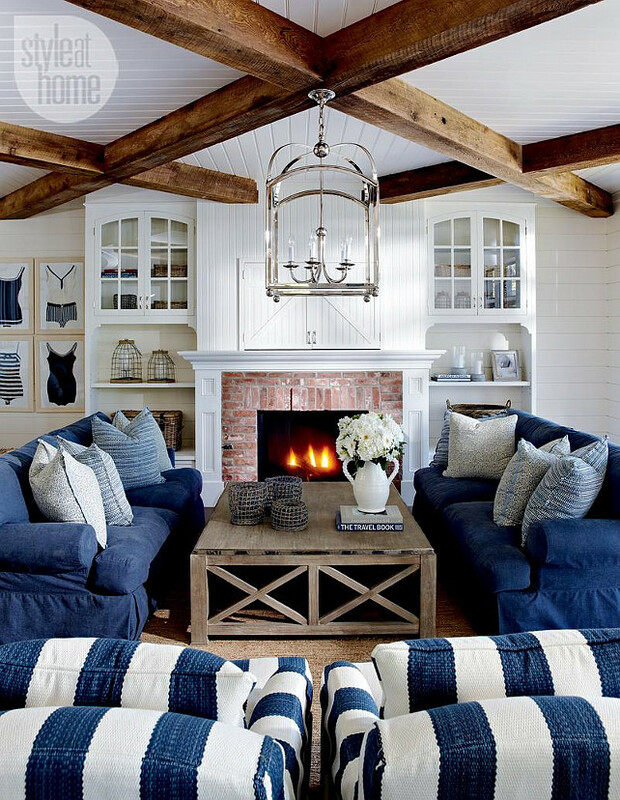 Featured in the pages of Style at Home magazine and designed by one of my favorites Canadian interior designers, Cory DeFrancisco, of the popular Muskoka Living Interiors, this lake cottage was inspired by shingled homes of Nantucket and the Hamptons, with a decidedly Muskoka twist. 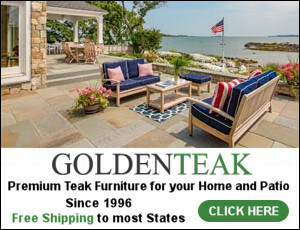 Take a break and discover why many of us love the coastal living lifestyle. With wooden beams mounted on a 45-degree angle over white beadboard, the ceiling in the living room truly becomes the main focal point in this living room. 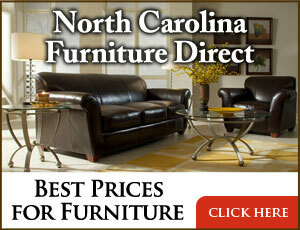 Comfortable down-filled slipcovered sofas make the space feel inviting and coastal. Make sure to notice the built-in. The tv is hidden above the fireplace. Lantern pendant is the “E.F. Chapman Arch Top Lantern” from Circa Lighting. The kitchen is the homeowner’s favorite room in the house and we can see why. The coastal, clean lines of crisp white cabinets and classic white subway tile backsplash, plays beautifully with the antique oak island and pantry. 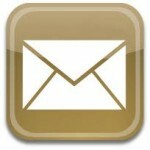 Lighting is the “Garey 3-Light Pendant, Antiqued Nickel”. The dining room is bright and well-decorated in its simple way. 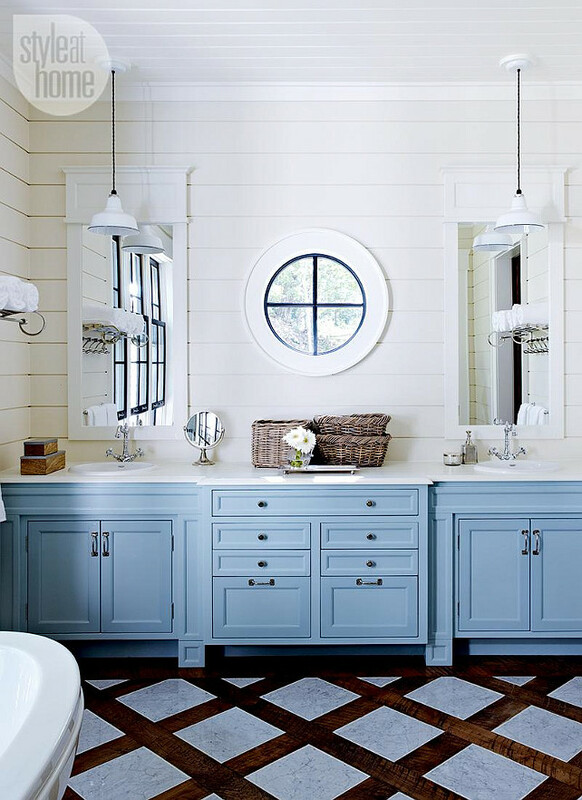 The designer wanted to keep the decor simple to highlight the millwork and wooden windows. 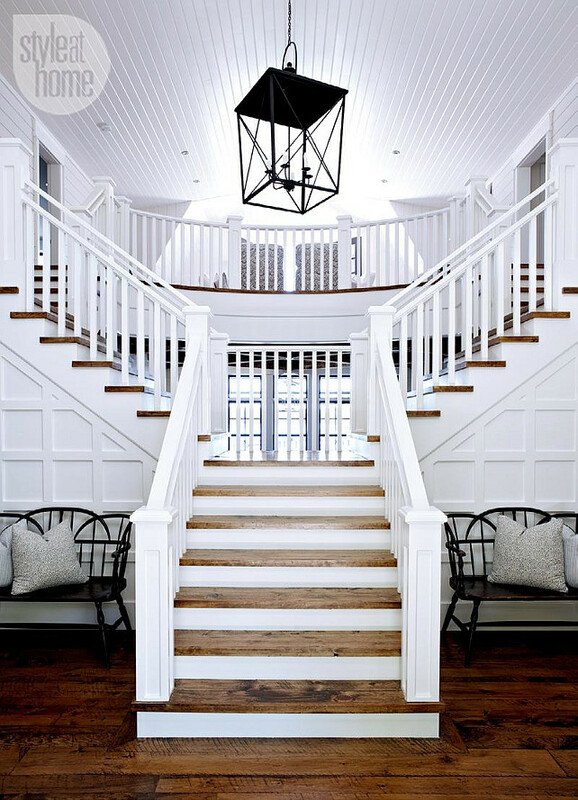 A Hamptons-inspired split staircase is the focus point in the cottage’s entryway. The designer enhanced the walls with applied moulding in a grid pattern. The texture acts as a striking background for black Windsor-style benches. The hardwood floors add warmth to the space. If the kitchen is the homeowner’s favorite room, I have to say this one is mine! The casual family room at the top of the stairs offers a breathtaking view of Ontario’s Lake Rosseau. The master bathroom features a custom blue vanity and a wooden trellis pattern with inset marble tiles. 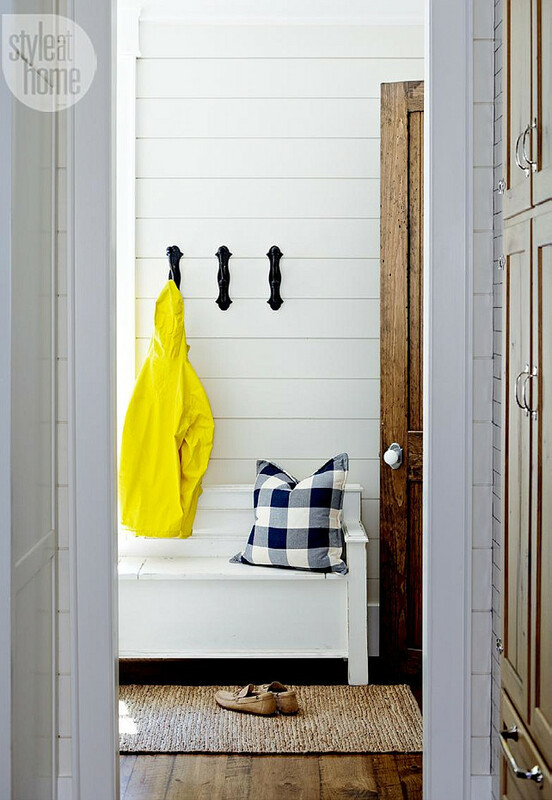 The mudroom is all about coastal decor with poplar tongue-and-groove walls in a crisp white paint, hooks and wide plank hardwood floors. 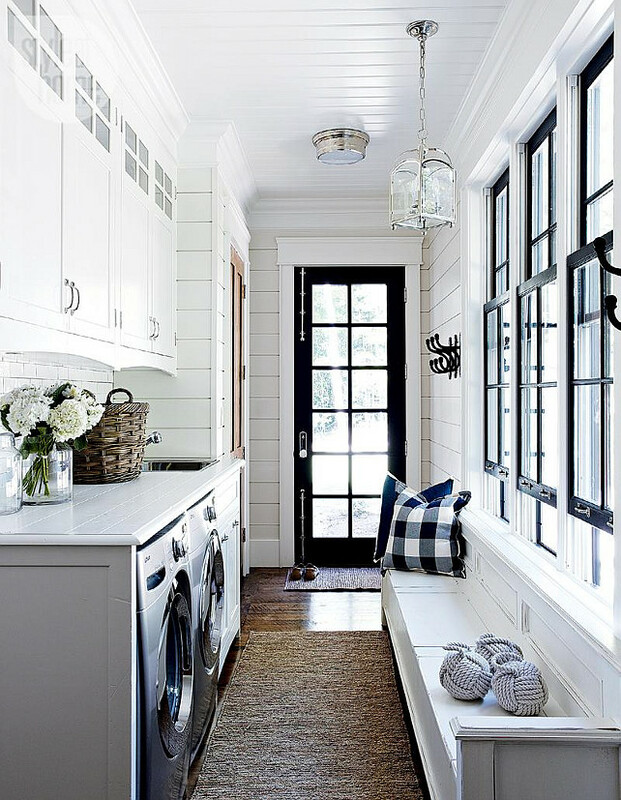 This laundry room is one of the best I’ve seen in a while! 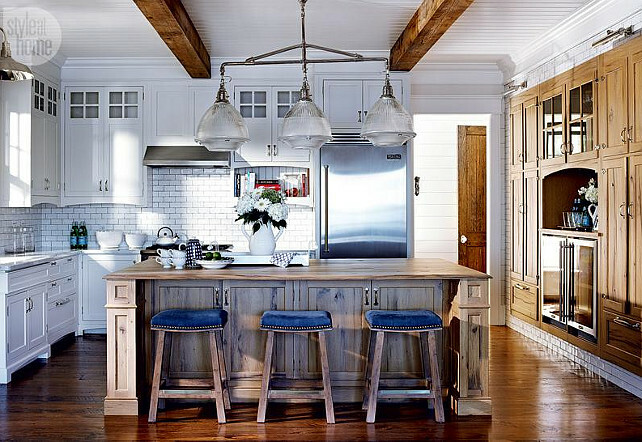 I love the walls, the large bench and cabinets and wooden countertop. Lighting is from “Circa Lighting”. The stunning sunroom carries a blue and white motif with comfortable white wicker furniture and nautical-themed pillows. This room truly feels like an extension of the house. 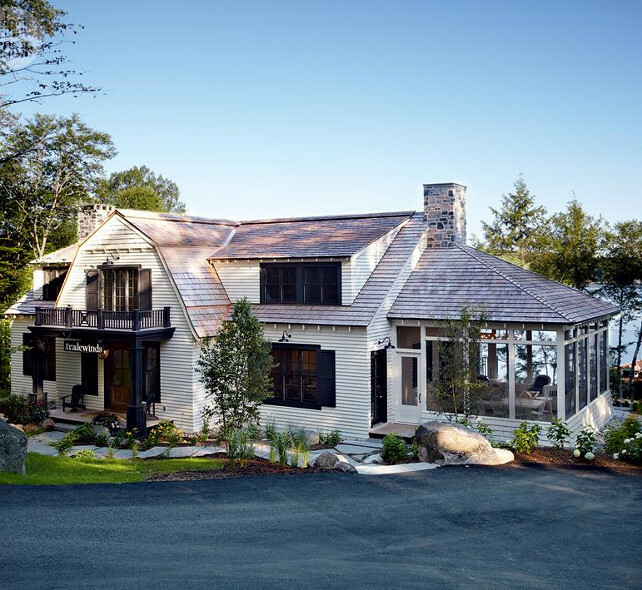 The cottage was completely inspired by coastal homes in Nantucket and the Hamptons, but the white cedar bevel siding with charcoal trim provides crisp contrast that feels authentic to the Muskoka region. Now, imagine spending your summers in this lake cottage… wouldn’t that be fun? Sources:Muskoka Living Interiors. Photos by Michael Graydon via Style at Home. I hope you had a great time here today. We’ll talk again tomorrow, my friends. Is there any way to find out the brand of the light fixtures in the great room, kitchen, dining and foyer? I love them!